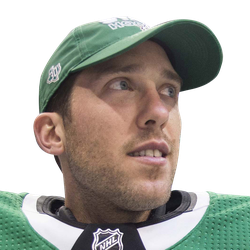 Goaltender Ben Bishop recorded his third consecutive shutout, Roope Hintz notched his first multiple-goal game, and the visiting Dallas Stars beat the Buffalo Sabres 2-0 on Tuesday night. 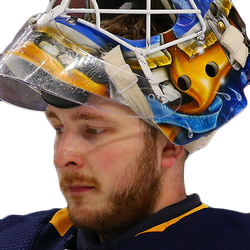 Bishop made 35 saves to record his sixth shutout of the season and the 30th of his career, running his career record to 12-0-1 against the Sabres. He totaled 30 saves on Jan. 30 to blank Buffalo 1-0 in Dallas. The Denver native has stopped all 94 shots he has faced the past three games. He has a shutout streak of 204:20, the second-longest stretch in club history. Ed Belfour went 219:26 without allowing a goal in the 2000-01 season. The three straight shutouts ties Bishop with Belfour and Cesare Maniago for the franchise record. Maniago did it in December 1967 with the then-Minnesota North Stars, and Belfour's hot stretch was in November 2000. With the teams locked in a scoreless game, Hintz scored twice in the second period for the Stars, who have won seven of their past 10 and are 4-1-0 in March. Linus Ullmark was in goal for the first time in three games, and he made 25 saves for the Sabres, who are 2-9-2 in their past 13 contests. Buffalo played without top point scorer and captain Jack Eichel, who was serving the first game of a two-game suspension due to an illegal hit against the Colorado Avalanche on Saturday. Ullmark made the best defensive play in a scoreless first period. With Buffalo on the second of consecutive delay-of-game penalties in the first seven minutes, Ullmark quickly gloved a wrister up close from Jamie Benn at 7:24. Buffalo leading goal-scorer Jeff Skinner, who hasn't tallied one in 12 games, rang the post in the first minute of the second period, but Dallas went up 1-0 after Hintz grabbed a rebound of Jason Dickinson's blast. The left winger fired in the marker on the short side over Ullmark at 7:29 for the lead. Right winger Blake Comeau was credited with the secondary assist, marking the 300th point of his 13-year career. Hintz tallied again just under six minutes later on the power play. The Finnish rookie moved in and scored his seventh goal of the season on the blocker side of Ullmark for a 2-0 lead, and Bishop kept it that way after stopping Tage Thompson on a breakaway. Buffalo mustered 11 shots in the third period, and Bishop stopped them all for his 23rd win this season.